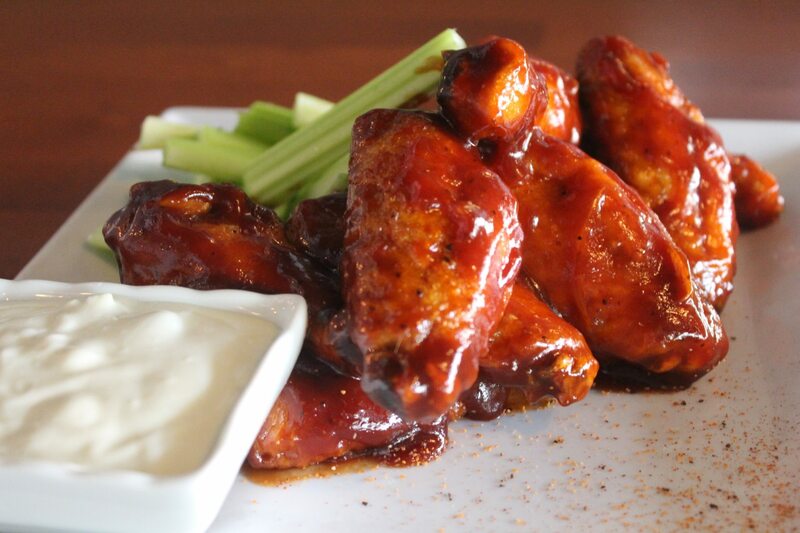 Who serves the best wings in the Pocono Mountains? Look no further than Trackside Grill & Bar on Crystal Street in East Stroudsburg. Located within walking distance from East Stroudsburg University, Trackside lives up to the hype and serves up the best wings in the area. Not to mention, they are accompanied by over 10 house-made sauces that are to-die-for! Trackside is not only known for their mouth-watering menu, but their daily evening specials. The most popular night of the week? Without a doubt, Wing Wednesdays! They stay open later making it the perfect after work rendezvous or a quick bite with your besties. But who are we kidding. Whether you go in a group or swing it solo, you are in for a heck of a night. The atmosphere in there is so lively and energetic. Most likely because they can’t believe that wings that good are only $0.65! Trackside won’t limit you on the amount of wings you can eat, but beware because take away boxes are not allowed. All wings are served up hot and paired with your choice of 14 unique house-made sauces. Trust me, you’ll be coming back for more. Their most popular sauces are Garlic Ranch, Spicy Garlic Parmesan and Honey Sriracha. In the mood for something sweet and salty? You’ve got to try Salty Caramel… it’s a quirky combination you didn’t know you needed. Trackside Wing Night is an experience you don’t want to miss out on. Make them your Wednesday night routine you won’t be disappointed! Joan Rose is a guest Content Writer for TEPSBEST with a passion for inspiring change within the world. When she isn't busy writing a new empowering piece of work, you can find her hiking, traveling or checking out the best restaurant joints on the East Coast.